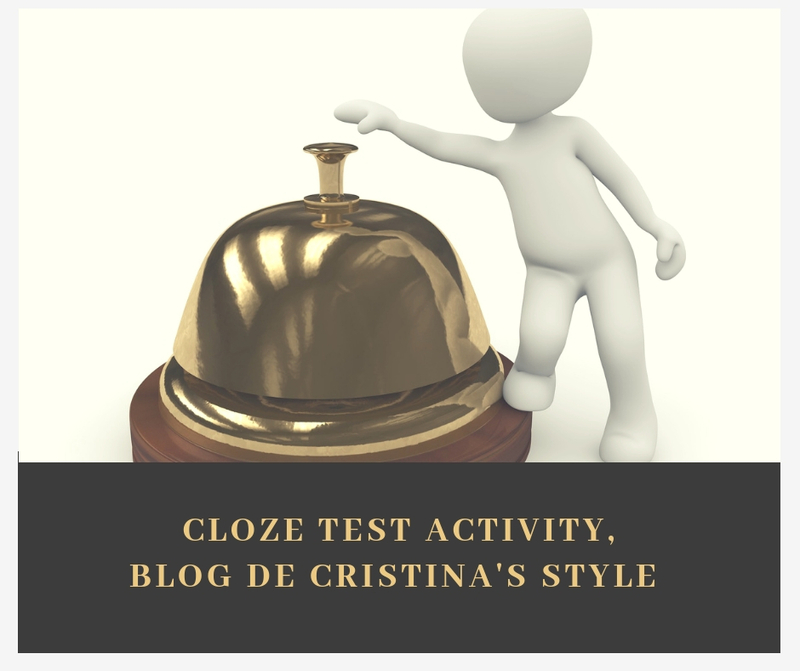 The online tool I have used to create the cloze has two features you can choose from: text only (that you can easily copy/paste into a document) and interactive (that you can save as an HTML page). The tool is free and you don’t even need to register. In this exercise, I have used the simpler text-only version. Choose a text that contains a variety of terms you want your students to revise or work with. Using the OHP, display the gapped text on the board or alternatively, print it and give it to your students. Two students can share a copy. Ask students to work in pairs. Give or show the Close Test and ask them to predict the lexical category or part of speech that could fit each gap: is it a noun, an adjective, a preposition or maybe an article? Allow a couple of minutes for this task. You might want to show an example. Ask Student A to face the board. Ask Student B to face away from the board and concentrate on the text. Tell students you’ll write the words on the board in random order, but each of the words will be identified with a number. If you have 8 gaps in the cloze text, you will write the words on the board preceded by the number. Tell Student B to do the same in case he cannot guess a word in the allotted time. For ex: 1. house 2. wrote 3. for. Write one of the missing words on the board, and ask student A to define the word, or give a synonym or antonym for student B to guess and write down. For example, if the word on the board is “wrote”, Student A might say “it’s a verb in the past and you use a pen or a pencil to do it”. Tell students you’ll write a new word every 30 seconds. If Student B guesses the word quickly, he might try to use the rest of the time (up until the 30 seconds) to try to place the word in the right gap but tell them you’ll not wait. Continue in the same way until you have written all the missing words. The words should be written in random order. NOTE: If one of the words hasn’t been guessed, at the end of this part Student A will need to try to define the words again. (Remember that the words are still written on the board). This time, Student A can help Student B by giving him the first letter. Once they have all the words, Students A and B will work together to complete the gapped test. Place a bell on your table and ask the first pair to finish to come up to your table. Silently check that the exercise is correct and if it is, ask them to ring the bell. From that moment, the rest of the class will have one minute to finish the exercise. Choose another text and repeat procedure. This time Student B will face the board and Student A will concentrate on the text. Note: If you are a student, this is a great tool for self-study. Choose a text from around the web, gap the text every 10 words and then select the interactive feature, which will check your exercise. Enjoy learning English!